We are committed to providing the best service at the most competitive price. 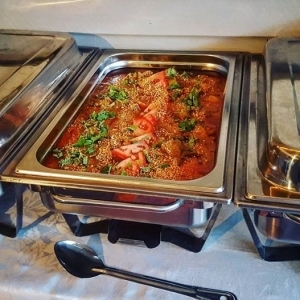 Heart Thai corporate catering can offer a unique menu of hot food for your next work function, office party or boardroom meeting. We have no set banquets, and a full restaurant menu to chose from. Which means you get to choose the meals that you want and cover everyones tastes. We try our very best to make the whole process from first contact to first mouthful as easy as it will be tasty. Catering for dietary requirements is our thing, we can do vegan, gluten free, you name it. See what other clients are saying about their experience with us on your testimonials page. 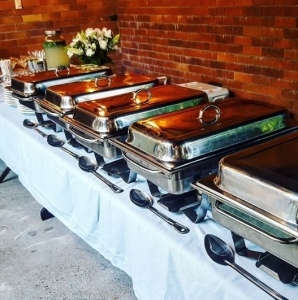 Contact us at the bottom of the page to get a quote for your next catered corporate function. HERE ARE OUR TIPS ON CHOOSING YOUR CATERER. EAT AT THEIR RESTAURANT, OR AT LEAST GET SAMPLES IF THEY DO NOT HAVE ONE. A GOOD CATERER WILL KNOW ALL THE QUESTIONS YOU SHOULD BE ASKING AND HAVE A SPIEL THAT COVERS EVERYTHING YOU NEED TO KNOW AT YOUR FIRST CONTACT. ASK HOW LONG HAVE THEY BEEN DOING CORPORATE CATERING? ASK WHAT STYLE FOOD DO THEY EXCEL AT? THERE IS NO POINT CHOOSING A CATERER BECAUSE YOU LOVE THEIR CURRY AND TELLING THEM YOU WANT WRAPS. ASK IF THEY CAN CATER TO DIETARY REQUIREMENTS IF YOU HAVE NEED FOR. 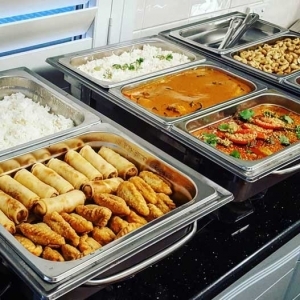 SPECIFIC DIETARY REQUIREMENT SUCH AS VEGAN, GLUTEN FREE AND NUT ALLERGIES ARE BECOMING MORE WIDESPREAD IN TODAYS SOCIETY AND ITS YOUR CATERER SHOULD BE ABLE TO MANAGE THEM ALL.